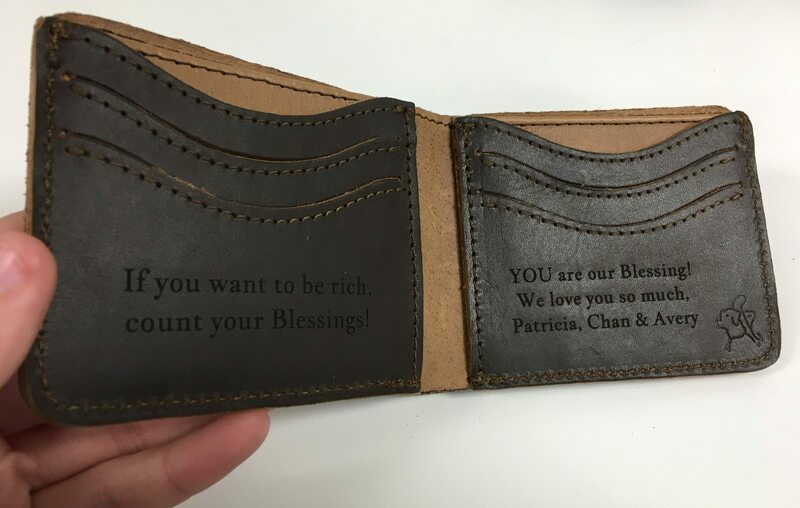 Text can be engraved deeply on thick leather. 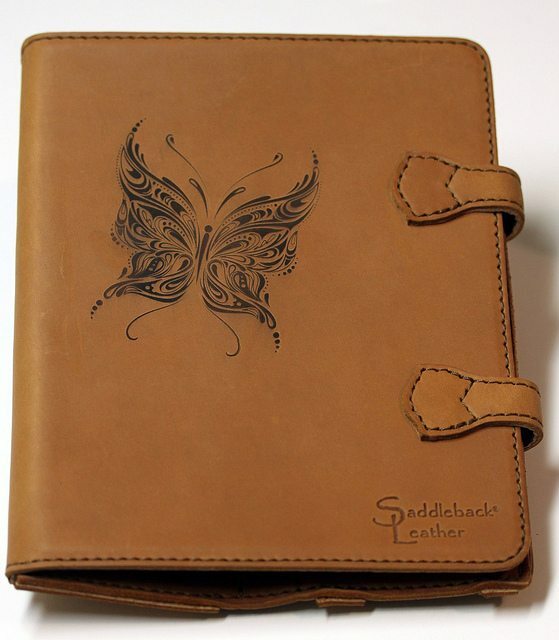 We don’t stock this case, but we admire the quality and workmanship of them. 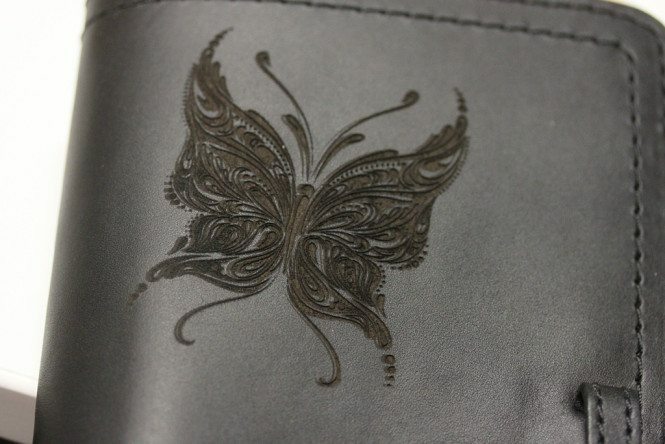 They engrave beautifully. 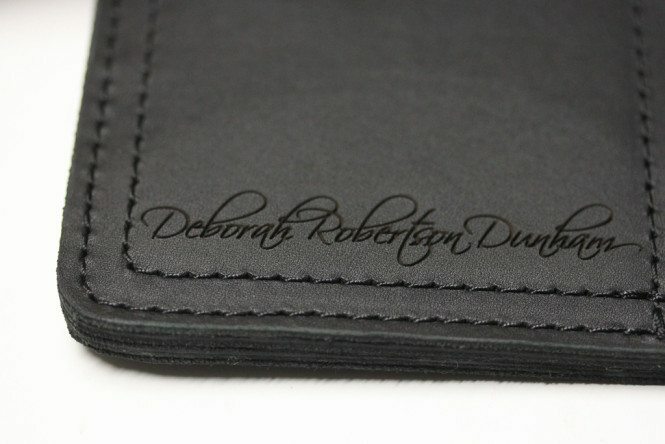 You can ask us to order one for you, or order yourself and have it shipped to us for engraving.